Now that you have added your book and filled it with chapters, it's time to invite your beta readers! Do this by heading over to the Readers tab of your book. You can sort readers by name, creation date, when they started reading, when they were last seen, and how far they have reached in your story. Step 1 (optional): Create a reader sign-up form. In the sign up form you can include three questions that the readers are required to answer when signing up. Just press the button "Reader sign-up form". And add the questions that you need answered before accepting a beta reader sign up request and hit save. Invite a new reader by simply typing their email into the email field and hitting enter or clicking the Add reader button. If you chose to have BetaReader.io send the invitation email, the new entry will appear in the readers list as "Not yet started," along with when they were invited. If you instead chose to send the invitation email yourself, the entry will have a "No invitation sent." text, along with an action to send the invitation email. 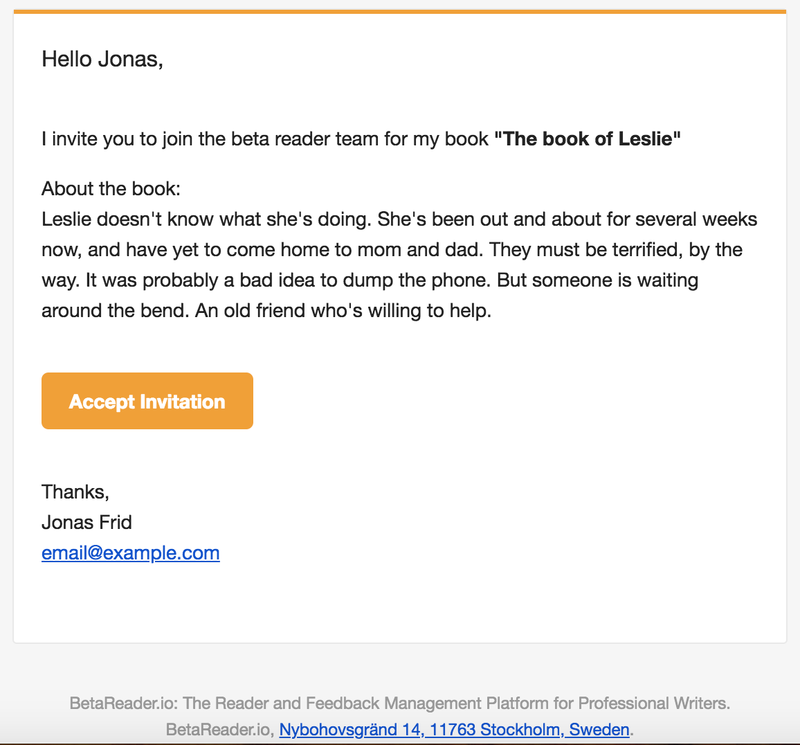 The invitation link leads to the below page, where the user needs to accept that BetaReader.io will collect information about their reading patterns and feedback before they're allowed to read the book. 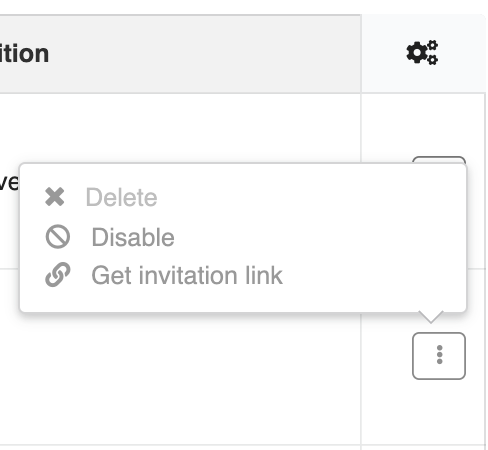 You can delete, disable / enable readers, as well as getting their invitation token or link from the reader actions menu on each entry. Deleting an entry is only possible for readers who have not yet accepted the invitation.